We’re big fans of innocent here at Wool and the Gang – their smoothies really are berry good! So when we we were able to get involved with their wonderful Big Knit campaign, we jumped at the chance. Since 2013, Innocent has raised over £1.9 million for Age UK, a charity aimed to keep the elderly warm and well over the winter months. 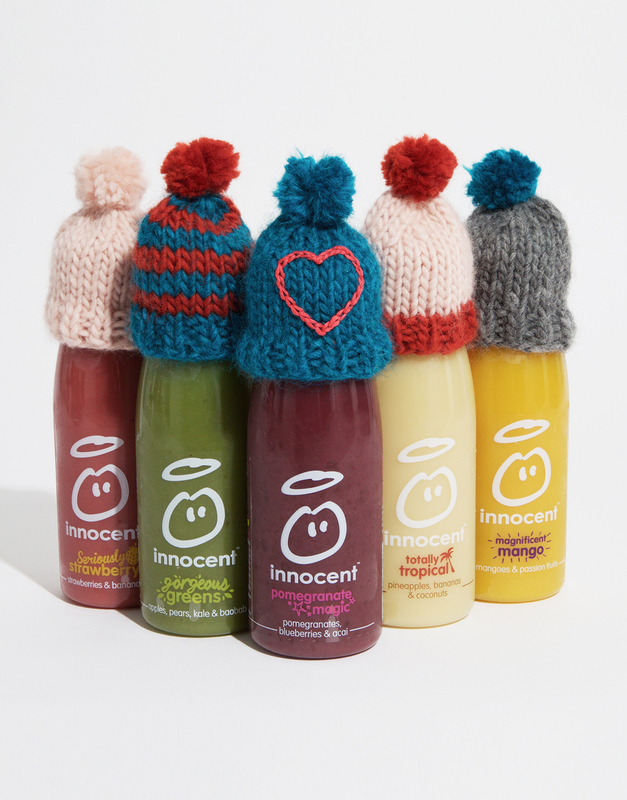 Their idea was simple; for every bottle sold with a little knit hat, innocent donated 25p to the charity. With as many as 25,000 lives at risk because of the cold in the UK alone, these little wooly accessories have gone a long way in helping the cause! We wanted to help, and since our Zion Lion Pom Hat has been a fan favourite during the chilly months, we decided to create a teeny tiny version! Not only have we done a knit along video, the pattern is perfect for beginners so anyone can stitch this hat up, no problem. 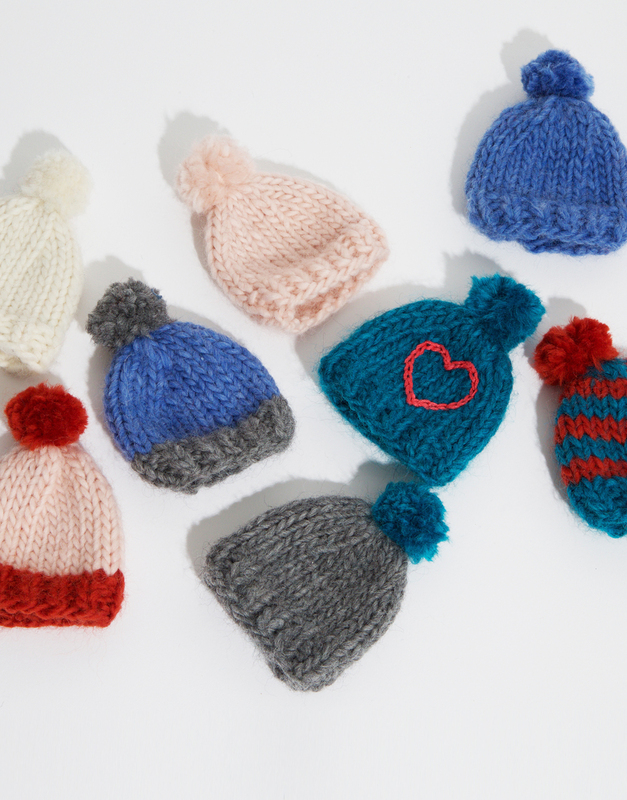 Plus these hats are truly itty bitty and take no time at all to knit, so you could really make LOADS. Ready to start stitching? WATG co-founder Jade Harwood will teach you all about the stocking stitch and how to make a mini pompom to decorate your knit hat. With tons of Wool Me Tender shades to choose from, you can really begin to personalise your mini knits. Plus, we even used some DMC thread to add a duplicate stitch heart on the hat – but the options are endless and we can’t wait to see what you come up with. Share your Teeny Tiny Zion Lion hats with us using the hashtag #teenytinyhats and #thebigknit . I’VE MADE A TEENY TINY ZION HAT, NOW WHAT? All that there’s left to do is send your finished mini creations to innocent – find out more about how to do that here. Soon after, your Zion Lion Hat knit will find its way onto a delicious smoothie and 25p will be donated to Age UK. Doesn’t that feel good?